American rapper, producer and serious game enthusiast Soulja Boy has released another new console this week, one that bears a striking resemblance to Sony&apos;s ill-fated PlayStation Portable discontinued in 2014. 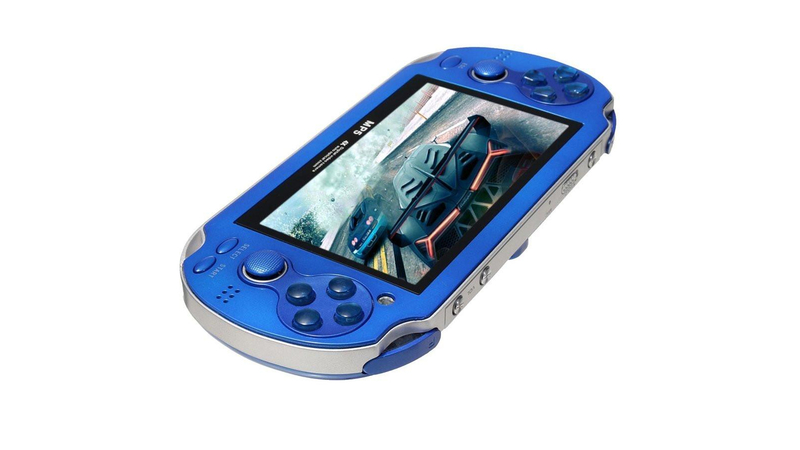 The system released by Soulja Boy, the SouljaGame Handheld, is identified on Soulja Boy’s shop as a rebranded version of the Portable MP5 Game Player Console, and has a 4.3-inch LCD screen with a 480×272 resolution (the same specs as the PSP). Unlike the PSP, however, Soulja Boy is releasing the his handheld for a paltry $99 (around £77, AU$137). Want to feel like you&apos;re getting a bargain? Well, the newly launch system is curiously marked down from its regular $200 price. There’s no word if the SouljaGame will come with any hacked ROMs or emulators like the rapper’s previous consoles (all of which now appear to be pulled from the store), but older versions of the MP5 can be seen on Amazon with 2,000 pre-loaded games including Advance Wars, F-Zero, Contra and Madden NFL 2005. If you&apos;re hoping to get your hands on the rapper&apos;s new console, however, you&apos;re out of luck – it&apos;s currently sold out on Soulja Watch… not that we condone buying one even if it were in stock. Next articleI need your help today Reddit. I’m 88lbs down but I feel myself slipping because I don’t think I’ll ever be able to get to goal weight , 20 year old habits feel impossible to break .